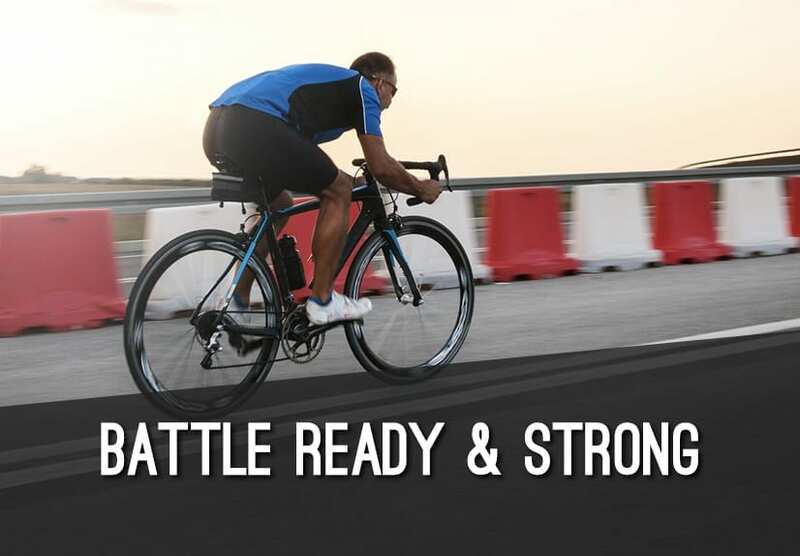 Preparing for a triathlon not only takes training but also requires determination and time. Additionally, on the day of the race, you will have to be aware of several tricks and tips to make sure your racing is good as well as efficient. Preparation Before the Race Day. There are specific tips that might be helpful, and you should take them into consideration to be ready for the triathlon. Here you will find the most important ones. Check the directions to the race start. Study the course to know what to expect. The night before the triathlon, you should organize your gear. Your checklist is a must here to go about everything you need. ( Here is a samples checklist to get you started https://eloadsportnutrition.com/triathlon-kitchen-sink-check-list/ ) You can divide your items into different bags to make it easy to sort. Then, put all of them into your bag. You should eat regularly, avoid trying new things, stick to what you already eat. You could have some protein (chicken, fish, turkey), a little healthy fat (avocados, nuts, olives) and a lot of carbohydrates (fruits, vegetables, whole grains, beans). After taking the proper time to digest the food, go to bed early and have a good sleep. That same morning you might be quite nervous about the race so having your priorities settled would help you. Eating: at least 2 hours before you need to eat something, it was mentioned above, eat what you usually consume and add a high in carbohydrates beverage. Now isn’t the time to explore new dishes! Clothing: get dressed in layers so as it is getting warmer you can remove some items. Arrival: get to the place an hour earlier to get familiar with the location. Check-in: take your number and your membership card with a photo for identification. Special needs bags: add all the items you need and place them at the halfway point of the bike and run. The bags can have food, liquids, lubricants, and clothing. When arriving, you should get familiar with the transition area, and make sure your gear is set up correctly. In this way, your transition between the first transition (T1) from swim to bike and the second transition (T2) from bike to run will be easier for you. If you have the opportunity of choosing your own spot, you might look for one at the end of a row and close to the exit because it is an excellent location for the bike exit. After that, memorize your spot by walking from the water’s edge to the T1 transition area while taking note of landmarks to help find your bike. As space is limited, you should only take what is necessary. Lay your items on an open towel to consolidate everything and you can stand on it and wipe your feet clean and dry while putting on your helmet. When you unpack. Open the straps on your cycling shoes. Roll your socks down to the toes to put them on easier. Do the same with sleeves or other clothing you might put on. Set the socks in your shoes. Attach the race number to the bike frame, helmet and the clothing you will wear for the bike and/or run. Check your tire pressure using a floor pump. Make sure the handlebar has end caps (if not you can be disqualified). Rack your bike, so it comes off quickly. Attach your gloves to the handlebar with their hook-and-loop straps. Fill your bottles with water or a sport nutrition drink. If using a bike computer, get it reset and ready to go. Put the bike in a low gear for starting out. Tape your energy gels to the tube of your bike in layers. Then you can rip one off and open it at the same time. A few band-aids and a travel-size antiseptic. Waterproof sunscreen with an SPF of 30 or more. Tape for putting the race number on the bike. Safety pins for your number. You should prepare yourself before the race; sometimes this process can be stressful.You might be nervous and you could forget some necessary item; so check this list to make it simpler for you. Put the timing chip on your left leg. Set your watch or fitness monitor. Attach your speed and distance monitor with a foot pod, securely to your running shoe. Try walking the transitions before the race starts. If you have time, warm up. Put on the goggles and adjust them to fit. Wetsuits- Although they might take you more time to take them off, it will make you more buoyant, as well as save you more time in the end. However, if the water is above 84°F, you might choose to wear a swimsuit only. Check the approved wetsuit model for your race. Allow plenty of time to get into the wetsuit and zip it up. Apply sunscreen from elbows to the wrist, from knees to ankles and on the feet. Put some on the back of your neck to avoid rubbing burns. Use lubes designed for triathletes. Goggles– it is best to have 2 pairs of them; a clear pair for darker conditions and a tinted pair for sunny days. Make sure the straps and lenses are comfortable and snug enough to keep the water out. Caps- if caps are supplied in the race, try it on beforehand and if possible have an extra one because it might rip during the triathlon. Flatten short hair down. Put long hair into a ponytail. Put your hands in the cap and spread it open as far as you can. Pull the back of the cap over the back of your head and pull the front to your forehead while pulling down at the same time. Pull it down overall and tuck into the cap any short ends of hair that are sticking out. Extras- Earplugs and nose plug, if you are used to wearing them, and you feel comfortable. When you face this stage of the triathlon, you might survey the swimming course. Get to know which buoy is your target and look for landmarks around the buoys to help you orientate during the swim. Etiquette– respect other’s place, and position yourself accordingly. If you’re a strong swimmer, be in the front. If you are a beginner, stay to the side or behind faster swimmers. During– Keep an eye on where you are going so you do not do extra swimming. And If your goggles come off, roll on your back, to help get them sequered. Leaving the Water– when you are about 50 meters from the shore, you should stop kicking and start bending your knees and when your fingers touch the ground, use it to pull yourself in further, leave goggles and cap on and start unzipping the wetsuit as you move to the transition area. Leave your flip- flops ready to grab, the surface might be rough. Then, remove your wetsuit. In some races, athletes use a swim or triathlon suit for the entire race. In others, where comfort is relevant, there are changing tents available. Step on your towel to get undressed from the swimming and use a water bottle to rinse off any debris before putting on socks and/or shoes. If you need more lubricant, put it on now. Leaving T1- Put your sunglasses on first, then the helmet Make sure your helmet strap is buckled before getting on the bike, so you don’t get disqualified! As regards your bike, it should be in a lower gear, so it is easier to pedal when you start out. Etiquette- Remember to stay to the right until you want to pass and warn on your left when you are about to pass, then do it quickly and get in front of that cyclist. But when being passed, stay to the right and let the cyclist pass you. Nutrition and Hydration- Stay hydrated while cycling. Water is a good option, but triathlon supplements will replenish carbohydrates and electrolytes lost from sweating. You can fuel yourself while biking with Eload Energy Gel. It provides endurance with a boost of energy and it replaces the glycogen lost from your muscles. On the Course– Ride single file except when passing and watch the road. Besides the usual road hazards, watch for water bottles that may accidentally have been dropped. And, you should know the location of aid stations. Finishing the Ride- When you come into T2, you have to slow down and release shoe buckles to slip out of your bike shoes faster. Also, remember where to park your bike in the transition area and where the exit location is. In this second stage, you have to reapply sunscreen if you think it is appropriate so to protect your skin. Then, grab your hat and sunglasses and drink some water or energy drink to face the running part. While you are running keep hydrating and relax to stay focused. You can try doing a negative split run (start slower and get faster as the distance increases) paying attention to the traffic. Etiquette– As you might be tired, if you are going slower, stay on the right, But if you are going to pass somebody, do it on the left. When using the portable toilets, try to keep the line moving as fast as possible. And when using the aid stations, go to the middle or end instead of the beginning to help control congestion. Refuel with protein-rich food as often as possible in the first 30 to 45 minutes of finishing. Do a cooldown and some light stretching. Put on something comfortable and give your feet a rest. The next day, go for a spin on the bike, walk around, swim, relax or get a message. After your hard preparation and training, It would be a pity if you get penalized or disqualified because of some violation you committed. Read the rules for each part of the triathlon to uphold them and to be able to complete your objectives without any transgressions. After the triathlon your body will be tired and it will have lost a lot of nutrients, electrolytes and fluids. There is no better way to recover than taking Eload Recovery Formula. This triathlon supplement will rehydrate and repair your muscles. You can use it 15-60 minutes after your physical activity and you will notice the improvement. Give it a try! Previous post: Get Ready for Your First 26.2 Marathon! Next post: Why Do Athletes Suffer From Cramps?